The course is open both to Suzuki and non-Suzuki applicants of least Suzuki Book 5 / ABRSM Grade 5 standard. On the first day of the course all participants must have learned their parts and be able to play along with recordings of their pieces. 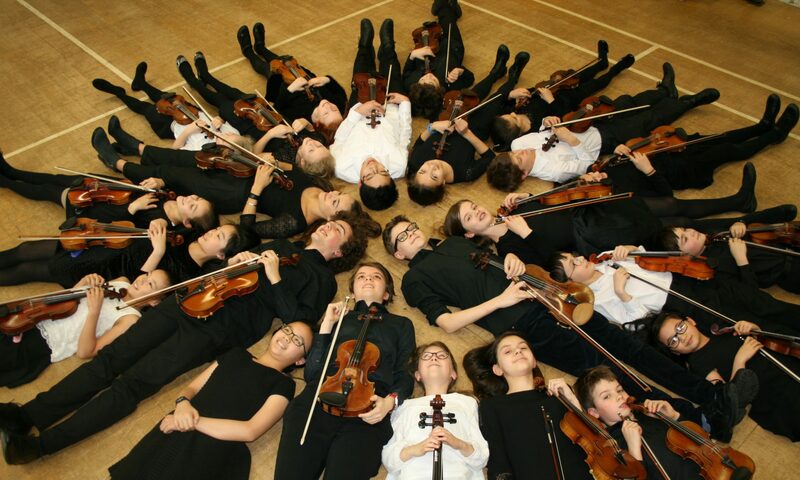 Parts are sent out during the Summer half-term and participants should request any necessary help from their respective teachers to be able to play their parts confidently. If you have a major event, competition or exam(s) at the end of the summer term and do not have the time to do the preparatory work then our course may not be for you. In addition, we may ask a small number of violinists to play viola for one or other of their pieces and you will be required to hire a viola for the course. This gives the player extremely useful experience and some make a choice to remain with that instrument after the conclusion of the course. The Chamber Music Course is an intimate course with a maximum of 20 participants. Everybody plays a movement from a piano trio, string quartet and a duet or other work for their instrument. Jillian contacts all the teachers of pupils she does not know so that she can decide the most appropriate repertoire for them. This is truly a tailor-made course for participants. Participants also have an hour of musicianship and singing in four or more parts. No prior experience in chamber music playing is required. Every member of the teaching faculty has experience in teaching or coaching children and teenagers. Chamber music is the ultimate goal of all instrumentalists in terms both of musical and verbal communication. Every individual in an ensemble has equal importance. Coaching an ensemble aims to produce a dynamic group working in a concerted way towards a performance. The course offers a high staff to pupil ratio with each ensemble coached by one member of the faculty. We also offer stagecraft and, during breaks, we have use of a garden. For more information about this course please contact Jillian Leddra on jillianleddra@hotmail.com. To apply please fill out this form: 2019 CMC Form and send it with accompanying payment to Jillian Leddra.